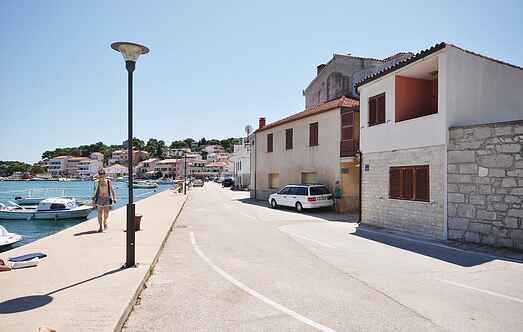 Choose from a selection of 34 holiday rentals in Tisno. Use the search form to the left to filter the results and pick your choice of self catering accommodation in Tisno. We have a good selection of holiday apartments in Tisno perfect for family, single, romantic and group holidays. 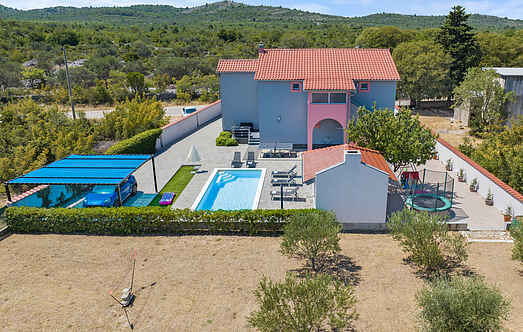 You may prefer to take a look at our listed holiday villas in Tisno or holiday apartments in Tisno. Find your holiday homes by a specific type using the property type drop down in the filter. Filter the holiday homes in Tisno by a specific area using the area list above. This modest and functionally furnished holiday apartment is located in a small town on the Island of Murter, in the centre of Tisno. This pleasant holiday home is located in Dubrava, not far from Tisno. The house is convenient and functionally furnished, and has three apartment units. Spend a pleasant holiday on the island of Murter, in this beautiful holiday house with pool, which is situated on the edge of place Jezero. This holiday home, nestled in nature, is located in the picturesque village of Jezera on the island of Murter. This functionally furnished holiday home is part of a large family retreat, located right at the entrance of the village Dazlina, next to the road. On the island of Murter, in a small fishing village Jezera, lies this holiday home. An ideal choice for a stay of a family or two friendly couples. These modest and practically furnished holiday homes are located in the immediate vicinity of the sea. These simple and functionally furnished holiday apartments are located in a family house in Jezera, on the island Murter which is connected to the mainland by a bridge. Spend your vacation in this luxurious villa with unusual and unique interior furnishings. Only fully renewable energy sources are used. This interesting stone house on two levels in Dalmatian style is simply and functionally furnished. On the upper level there is a gallery with ceiling height of 120cm. This functional and simply furnished apartment is located in the loft with the lowest ceiling height of 160 cm. The bedroom leads to a terrace, which offers a panoramic view of the sea. This unique holiday home is located in the village Jezera, on the Island of Murter, which is connected by a bridge to the mainland.